The Wellness Center, provides health services to currently enrolled full- and part-time students. 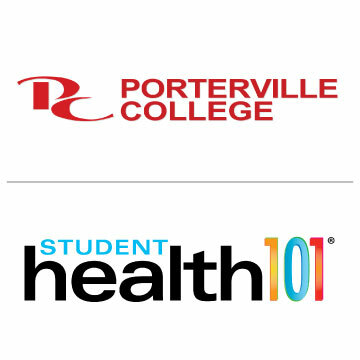 The purpose of the Wellness Center is to further the equality of educational opportunity and success for all Porterville College students by providing access to health services which promote the physical, emotional and social well-being of students. The Wellness Center maintains high quality health care services by establishing procedures treatments, activities and referral systems designed to meet student needs. The student health fee gives the students full access to a full-time Registered Public Health Nurse available Monday through Friday and during evening hours as well. Services included, but are not limited to, campus emergency care, first aid, nursing assessment and treatment of common acute illnesses and infections, TB tests, vision and hearing screening, blood pressure screening, and selected immunizations. If further off-campus medical evaluation or treatment is needed for injuries or ailments, students will be referred. Referral for individual counseling is available for students expressing the need for personal counseling. A rest area and some over-the-counter medications are available. First aid supplies are also located in strategic areas throughout the campus. Appointments are available but not necessary. Students with chronic health problems of a serious nature (diabetes, seizure disorder, cardiac problems) are advised to inform the Wellness Center so that the best possible help can be rendered in case of an emergency. Throughout the year the Wellness Center coordinates campaigns for better health, such as Red Ribbon Week, Great American Smoke Out, HIV/AIDS Awareness, Cancer Awareness and an Annual Health Fair. Health education information and materials are also available on many topics. When you visit the Wellness Center, you have the right to privacy, confidentiality, and to be treated with dignity. All records are confidential and cannot be released to anyone without written authorization. The only exception is when subpoenaed by court or when information is required by public health law. What are the goals of student health services? To assist students when ill or injured. To provide active health promotion and education, health protection and disease prevention services for students. To make referrals to community resources as needed. To be a resource for information on health-related topics. When you visit the Wellness Center, you have the right to privacy, confidentiality, and to be treated with dignity. All records are confidential and cannot be released to anyone without your written authorization. The only exception is subpoenaed by court order or when information is required by public health law (i.e., danger to self or others.) All personnel employed in the Wellness Center will maintain total confidentiality as required by law. Contact the operator, "dial 0" for the college information center. Explain what the emergency is. Is the individual conscious and breathing? Give the location of the victim. Do not move the victim unless the individual is in personal danger. Do not hang up until after the person receiving the information hangs up. Stay with the victim until help arrives and you are relieved. If the victim stops breathing and there is no pulse, start CPR. (Cardiopulmonary resuscitation). All Porterville College students are eligible to use the Wellness Center. The health services are paid for by the health fee charged to each student during registration every semester. What does it cost to be seen in the Wellness Center? Most professional services provided to students in the Wellness Center are free of charge. What can you do for me in the Wellness Center? Services include treatment for minor injuries and illnesses and monitoring of some chronic conditions such as high blood pressure. We can do testing for pregnancy, and tuberculosis screening (for PC sponsored programs and classes). We can make referrals to community agencies, or help to find appropriate local resources to help with your more acute or chronic medical problems. Who can be seen in the Wellness Center? All currently registered students can be seen and treated by the Wellness Center nurse. Can my family be seen in the Wellness Center? Because the Wellness Center is directly supported by the Wellness Center fee, we can only treat registered students. Who provides the care in the Wellness Center? The staff consists of a registered nurse. Can I get a band aid? Definitely! The Wellness Center has a variety of over-the-counter supplies for our students. Can I get health insurance through the Wellness Center? Porterville College students are covered for accidental injuries that occur on campus or during sanctioned PC events. There is currently no extended health insurance available through the College though we may have some suggestions for vendors of insurance products at reasonable rates. Please come in and talk with us individually about your situation and needs. What is the Health Fee that I pay every semester, and what do I get for it? Each registered student is assessed $12.00 per fall and spring semester, and $9.00 per summer session as part of their regular registration fees. This fee covers medical services received in the Wellness Center, accident coverage for events on campus, access to health education services, materials, and events, and over the counter medications dispensed in the Wellness Center. The Centers for Disease Control and Prevention (CDC) is recognized as the lead federal agency for protecting the health and safety of people - at home and abroad, providing incredible information to enhance health decisions, and promoting health through strong partnerships. CDC serves as the national focus for developing and applying disease prevention and control, environmental health, and health promotion and education activities designed to improve the health of the people of the United States. Drugs can help save your life. And drugs can kill you – through no fault of yours. Drugwatch is dedicated to informing you about seemingly safe, doctor-prescribed drugs and medical devices that could negatively impact your health and your life. All prescription drugs have side effects, but some that are approved by the FDA carry serious risks to your long-term health. Let us educate you about potentially dangerous drugs as well as medical devices that may not be as safe as you assume. Healthfinder(R) is an award-winning Federal Web site, developed by the U.S. Department of Health and Human Services together with other Federal agencies. Since 1997, Healthfinder(R) has been recognized as a key resource for finding the best government and nonprofit health and human services information on the Internet. Healthfinder(R) links to carefully selected information and Web sites from over 1,700 health-related organizations. MEDLINEplus has extensive information from the National Institutes of Health and other trusted sources on over 600 diseases and conditions. There are also lists of hospitals and physicians, a medical encyclopedia and a medical dictionary, health information in Spanish, extensive information on prescription and nonprescription drugs, health information from the media, and links to thousands of clinic trials. The national Library of Medicine (NLM) on the campus of the National Institute of Health in Bethesda, Maryland, is the world's largest medical library. The Library collects materials in all areas f biomedicine and health care, as well as works on biomedical aspects of technology, the humanities, and the physical, life, and social sciences. The collections stand at more than 6 million items--books, journals, technical reports, manuscripts, microfilms, photographs and images. Housed within the library is one of the world's finest medical history collections of old and rare medical works. NLM is a national resource for all U.S. Health science libraries through the National Network of Libraries of Medicine(R). Irritable Bowel Syndrome education, treatments and support community for help managing all IBS symptoms. This site provides information on self-help for people with IBS, with healthy strategies for managing pain, diarrhea, constipation, and bloating. We were patient-founded in 1999 and are now the largest IBS community of the internet, and we track all news, studies, and research about IBS. When you've got the sniffles and a sore throat, it can be hard to diagnose the cause. Understanding the differences between a cold, the flu and allergies will help you choose the best treatment.